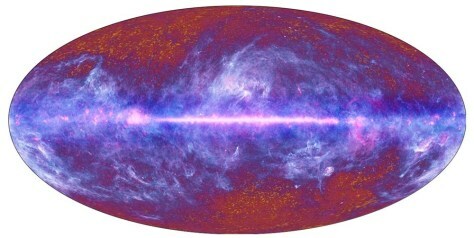 The microwave sky as seen by ESA's Planck satellite. Light from the main disk of the Milky Way is seen across the center band, while radiation left over from the big bang is visible on the outskirts of the image. Full story.